Surrey closed on 368 for four on the opening day of this Specsavers County Championship match at the Cooper Associates County Ground. Visiting captain Rory Burns won the toss and elected to take first use of the pitch. Mark Stoneman top-scored with 85, supported by solid contributions from Burns (78), Jason Roy (63) Dean Elgar (72 not out) and Ollie Pope (44). Jamie Overton was the most successful Somerset bowler with two for 76. Stoneman and Burns batted through the morning session and had taken the total to 147 in the 37th over when Stoneman, whose half-century had occupied 85 balls, failed to keep down a rising delivery from Jamie Overton and was well caught above his head by Craig Overton at backward point. 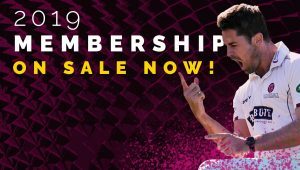 Burns, who had reached fifty off 87 balls, followed with the total on 206, bowled aiming a loose drive at Tim Groenewald who was back in the Somerset side after a long injury lay-off. Roy, making his first red ball appearance of the season, moved smoothly to the third half-century of the innings off 75 deliveries, with a six and six fours. 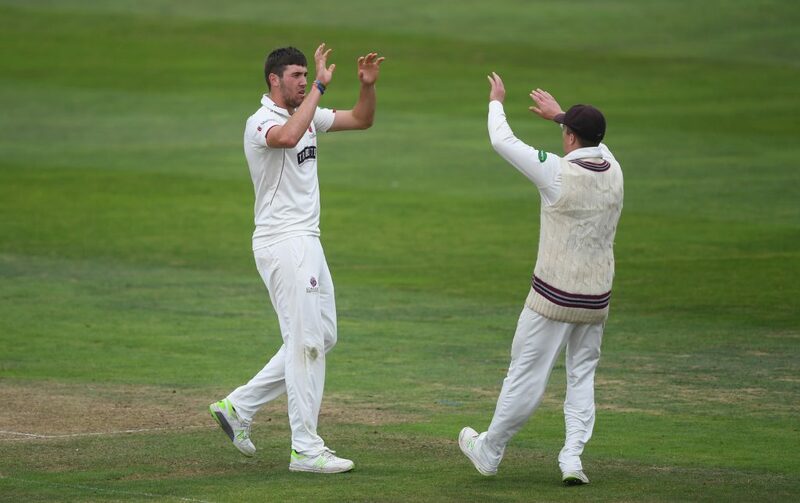 However, in the final over before tea he fell lbw to Jamie Overton and at the interval Surrey were 263 for four. Elgar, facing his old team-mates, reached the 50-mark off 74 balls, with eight fours, and Pope looked equally in control as they added 82 in the final session. Pope was visibly frustrated when surrendering his wicket in tame fashion, clipping Josh Davey to Jamie Overton at mid-wicket shortly after the new ball had been taken. 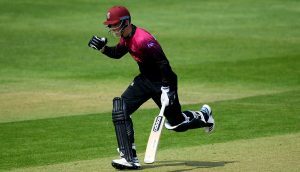 Somerset stuck to their task well in the field, but were powerless to prevent the champions running up a commanding total on the fast-scoring ground. 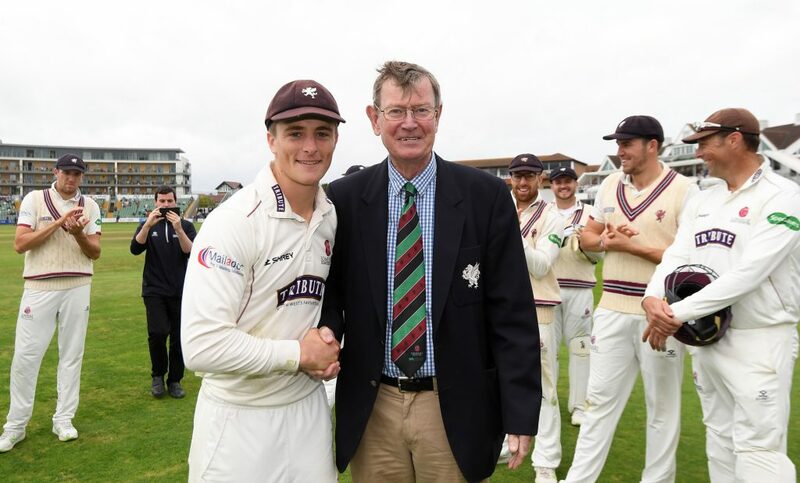 At the close of play Tom Abell, who was presented with his Somerset cap at lunch by the County’s former captain and Director of Cricket, Brian Rose, said: “Getting my cap was a very special moment for me. As a kid my ambition was always to play for Somerset and to be recognised with the other guys who have been capped by the County makes it very special. To have my family here to watch made for an incredible day. To be on that board with the rest of the capped players is a pretty incredible feeling. 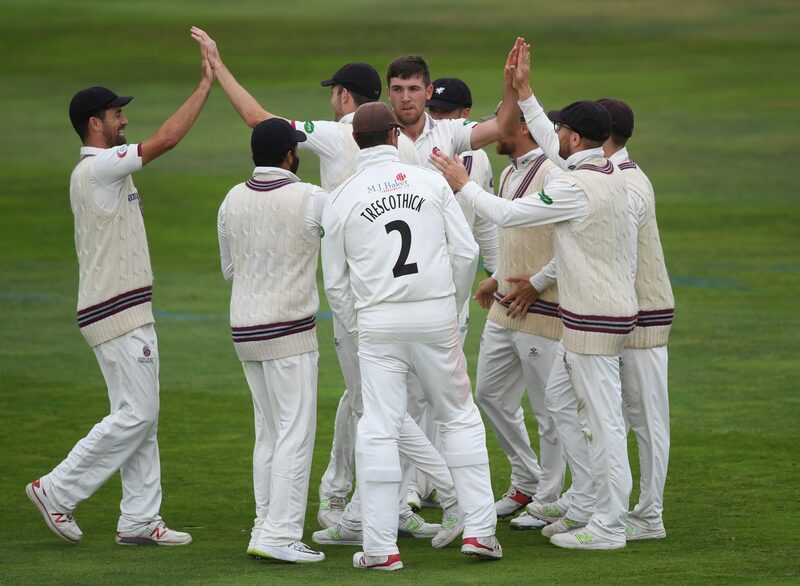 “We’ve come up against a very strong Surrey side. They’re carrying a lot of momentum into this game, and are packed with world class cricketers.